Our modern capitalist economy is a highly competitive environment. This is especially true for Industrial Manufacturing and Industrial Services. Globalization has recently drawn dozens of under-developed and emerging countries into the global capitalist economy. The global supply of productive resources, commodities, and labor has thereby grown significantly and rapidly. However, the global demand for products and services has seriously lagged behind the growth of supply. Welcome to the new world of hyper-competition, where only the fittest organizations will survive. As the leader of an Industrial organization, you need to manage, motivate, mentor, and monitor your company to survive and excel in this competitive environment. Good intentions and hard work are important and noble attributes, but alone they are not sufficient to lead your organization to realize its full potential. The successful leader of a high performance organization needs to develop a diverse repertoire of relevant skills and experience, and constantly refresh, update, and expand this knowledge, in order to provide the high quality guidance and direction an organization requires to achieve and maintain success. Technological development and innovation is not a new phenomenon. Humanity has been innovating and constantly pushing the envelope of knowledge and technology since man first learned to harness fire and developed the wheel. Technological development is not, and has never been, a linear process. Knowledge and technology develops exponentially. This was true for the Gutenberg printing technology, the steam engine, electricity, aviation, and our various digital technologies. Moore’s law is not unique to the computer chip. The exponential development theory underpinning Moore’s law was equally valid for each of the aforementioned technological innovations. The difference between the printing press and the computer chip is that the time scale for technological development has been compressed. This is also a feature of technological S curves. As new technologies build upon previous discoveries and innovations, the pace of development and distribution of technology increases. An S curve is much more noticeable to mortal humans when the development takes place over a period of a decade or less. It has historically been much more difficult for us to recognize the exponential nature of technological development when the development timescale was on the order of one or more centuries. S Curves don’t merely describe the pace of technological innovation. Nearly everything in our professional environment is undergoing exponential change. This includes government regulations, domestic and international taxation, social change, economic change, geopolitical change. The whole world is becoming a fast moving blur. With the constantly accelerating exponential changes that our world is experiencing, a manager must work diligently to keep pace with the changes. You may manage to navigate the way to your destination using an out of date map, but you will certainly encounter serious delays and detours along the way. If your competition is using an up to date map, or more likely, using Google Maps with real-time traffic advisories, you have no hope of beating your competition to the destination. If you want to keep pace with our rapidly evolving world, and ensure that your skills and experience remain up to date, you need to seriously commit to lifelong learning. Reading the local newspaper, watching CNN or the BBC, and following updates on Facebook and Linked-In is OK for keeping up to date on basic current events, but sorry, this does not constitute lifelong learning. Despite the proliferation of digital technology over the past decade, the best sources of knowledge remains old fashioned books. Well respected authors and experts continue to pour their knowledge and wisdom into new books each year. The competition for book sales and royalties continues to improve both the quality and quantity of books available. The good news is that it is no longer even necessary to go to a bookstore to buy your books (good news unless you happen to own a bricks and mortar bookstore). If you still prefer traditionally printed books, Amazon is a great source. 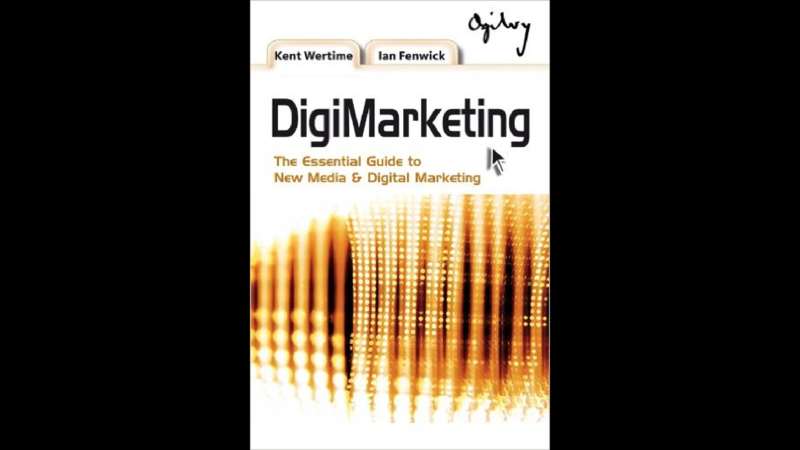 If you are like me and have made the transition to eBooks, you already know that Apple iBooks and Amazon Kindle offer digital versions of virtually all current fiction and non-fiction books, as well as the classics. As a business leader, you face a diverse range of professional challenges and opportunities. You need to pursue a diverse range of professional knowledge if you wish to lead your organization to achieve its full potential. Certainly, if you are a manager, you should read books on management and leadership. If your primary responsibility is sales, there are many great books on selling, marketing, customer relationship management, etc. Work diligently to expand your knowledge. Exercise your mental faculties. Expand your academic and intellectual horizons. Broaden your mind. Enrich your intellect. Seek interesting new cliches to use in your future essays. In the past few years I have read quite a few economics books. I don’t expect to start a new career as an economist. However, by studying both current and historical economics, I am much better able to understand, evaluate, and utilize economic trend and forecast data that is an important factor in our business strategy development. I also read books on geopolitics. Geopolitics involves elements of economics, leadership, strategy, tactics, intelligence, positioning, signaling, and history. The goals may differ, but business leadership and political leadership utilize many of the same skills and tools as does industrial leadership. Corporate Governance, Science, History, Management, Sales, Philosophy. There is a nearly endless range of non-fiction topics that can directly or indirectly enrich your skills as a business leader and your overall success and satisfaction in life. I spend most of my personal development time reading non-fiction books. However, probably around 25% of the books I read are fiction. I usually choose classics for my fiction diet, such as Mark Twain, H.G. Wells, Edgar Rice Burroughs, Arthur Conan Doyle, Jules Verne, and Charles Dickens. I occasionally also read modern fiction. Fiction of course provides enjoyment and relaxation, and represents an important break from intellectual pursuits. However, don’t underestimate the value of fiction as a source of leadership and strategic advice and inspiration. Fiction also helps expand your social and empathic skills, which are vital to your role as a leader. Readers are not necessarily good leaders. However, true leaders are always readers. Management gurus typically recommend that Sr. Managers and Executives spend at least 30% of their time engaged in professional networking. If this advice is to be believed and followed, we should on average allocate 12 hours per standard 40 hour work week to networking. There is little doubt that a prudent, rational professional networking strategy can greatly benefit a manager. A strong professional network ensures that the manager enjoys a diverse array of skilled and experienced professional resources to draw upon, in addition to knowledge derived from professional seminars and conferences, to support the manager in delivering superior management performance and direction to the organization. If you are self-employed or enjoy a great deal of autonomy, congratulations. You have a great deal of flexibility in determining how much or how little networking you wish to do, assuming you are effectively managing your affairs and not allowing your affairs to manage you. However, if you, like most of us, have a direct supervisor, such as the CEO, who is not an enlightened and effective networker, you may have quite a challenge justifying time spent away from the office. If your networking activities are not generating actionable, easily observable results, then perhaps you are NotWorking instead of Networking. A lot of useful networking is done on the golf course. Evening cocktails with the local networking group or chamber of commerce can also be productive. However, though these “social” networking events can be productive and useful, individual social networking events can also prove to be a waste of time and resources. I enjoy attending various social networking functions, and I believe that they are an important resource for the professional manager, especially if the social function is carefully selected. However, I typically consider these to be my low-priority networking activities. Interestingly, most of the managers I know seem to feel that social networking is the only type of networking event. I promise not to judge executives for whom networking is a necessary exercise to relieve the stress of a fast-paced, high pressure job, and to enjoy a few hours of liquid therapy with professional peers. However, let’s also agree that this is not the most effective way to achieve the benefits of a proper networking program. This is professional “NotWorking”, not Networking. Managing an Industrial Manufacturing or Service company is a significant professional challenge. The manager is faced with a wide range of both challenges and opportunities, distributed across a broad spectrum of disciplines. Even a highly experienced manager won’t have the necessary skills, expertise, and or resources required to provide leadership the team requires to execute all these tasks independently. Facing an unfamiliar task or challenge is highly stressful for even the most cool or most highly medicated manager. Your company and team doesn’t expect you to instantly have the answer to each and every challenge. However, it is quite reasonable to expect an experienced and competent manager to be able to rise to a challenge and promptly find a prudent and viable solution. A professional network is a diverse collection of friends, peers, associates, and acquaintances having knowledge, skills, and experiences that are complimentary and useful. If you are a plant manager, the lady who sells fruit down at the market probably doesn’t qualify as a resource for your professional network. However, don’t think that cultivating relationships exclusively with peers having jobs and experiences most similar to yours constitutes a satisfactory and effective professional network. You face a diverse portfolio of challenges, you need a diverse portfolio of professional friends and resources. In my professional community, I have some favorite networking venues and resources that I am confident provides me with strong and diverse professional resources, and also directly contributes to my quest for continuous education, improvement, and lifelong learning. Here in Bangkok, we have a number of excellent Chambers of Commerce, including the American Chamber of Commerce of which I am a member. I routinely attend meetings of the Business and Economics Committee, the Customs and Excise Tax Committee, the Legal Committee, the Aerospace Committee, and the Energy and Environment Committee. I also routinely attend the AMCHAM Monthly Luncheon. It has not escaped my notice that I am one of the few industrial managers attending most of these meetings. Does that make me a contrarian? Perhaps. However, it also means that I keep myself well informed and abreast of current issues and developments in the areas of corporate tax, customs; the domestic, regional, and global economic environment; best practices in environmental management, and the status and forecast for the vitally important energy industry. The knowledge I acquire makes me a better manager and leader. And the relationships I develop ensure that I can promptly access highly qualified professional support whenever I need it. Naturally, I am also a humble resource for members of my professional network who might seek my advice or insights. I also maintain memberships in a few other professional organizations and societies, and carefully budget my time to attend events that are most likely to deliver the maximum amount of benefit for the investment of time required. Social media and a wide variety of digital resources, including professional resources such as Linked-in, are rapidly changing the landscape for establishing and maintaining a professional network. However, the business card has not yet gone out of style. I always seek to exchange business cards with new professional contacts. At least once per week I go through my business cards and enter names, titles, and brief details into my Contacts List. I also search each contact name in Linked-in, and make contact requests for those professionals who are Linked-in members. I do of course exercise some judgment concerning whom I enter into my contacts list and connect with on Linked-In. However, I try not to be too selective, because when a crisis erupts, you never know what resources you might need urgently. Ten years ago I had a shooting in my factory. Two of my employees were seriously wounded by a fellow employee, who then fled and avoided capture by the police for several days. Immediately following the shooting, I urgently needed a professional security company to secure and protect my plant site while the police conducted their investigation and tracked down the gunman. The shooting happened at 3:00 am, and thanks to my contacts list I had the mobile phone number of a highly respected security professional. I woke him up at 6:30 am, and we had armed guards at the site by mid-morning. To provide the best leadership and service to an Industrial Manufacturing or Service company, a manager must diligently cultivate a diverse portfolio of professional contacts, and should routinely attend conferences and seminars to expand and update the knowledge and skills required to manage, monitor, and mentor the team. This is a demanding and challenging chore, which justifies the Work in NetWorking. Posted on 2016-06-28 Categories Industrial LeadershipTags governance, leadership, Teamwork1 Comment on Is Teamwork Killing Your Company? Nearly every manager I know emphasizes the importance of minimizing costs. I think it is fair to say that the Low Cost Strategy has become virtually the Universal Strategy for most organizations. If we expect to stay in business (and keep our jobs), we need to deliver profit to our shareholders. Profit is most simply defined as revenue minus costs. Increasing our profit is therefore a simple matter of either increasing our revenue or decreasing our costs. Unfortunately, actually increasing profit is not as simple as just boosting revenue or cutting costs. Obviously sales volume and manufacturing costs are directly related, and even if we have the capacity to produce more product, the market may not have adequate demand to profitably absorb our incremental output. Boosting our selling price may increase our sales margin, but may destroy demand for our product and destroy our profitability. Most managers quickly realize that they have little control over the revenue side of the profit equation, but they have significantly more control over the cost side. Costs represent a “target rich environment” for managers seeking to boost profits for the benefit of shareholders, and to boost their personal bonuses and advance their careers. In order to be successful, a manager must be able to effectively delegate tasks to subordinates, and inspire the team to diligently and enthusiastically carry out assigned tasks to achieve defined objectives. Delegation can be quite a challenge for a manager, because no subordinate can successfully carry out a delegated task until he/she clearly understands the tasks. Fortunately for our cost-cutting managers, virtually all subordinates quickly and easily understand the cost cutting task assignment. One of the great advantages of doing business in Asia is that virtually no matter what product or service you need for your business, there is always someone ready to supply you with a cheaper alternative. If your factory isn’t located in Asia, don’t worry. Global logistics and a wide variety of Free Trade Agreements make it convenient for managers located anyplace in the world to source the lowest cost raw materials, equipment, and supplies to minimize their costs and maximize their business profits. We are living in low cost heaven. Unfortunately, low cost heaven quickly evolves to low quality hell. It takes a brilliant and highly innovative organization to produce a high quality product from low quality, low reliability, and highly inconsistent inputs. One of the classical economic fundamentals is called Agency Theory. Basically, we operate by empowering people to execute tasks on our behalf. These people are technically known as Agents. We ensure that they faithfully follow our instructions through the use of incentives. Incentives can be as simple as a “thank you” and a pat on the back for finding a lower cost supplier, or more commonly it involves economic policy incentives such as bonuses and promotions for achieving measurable targets. No need to get too technical here, but measuring cost savings is very easy, so it is almost child’s play to assign a cost cutting task and measure the resulting savings. This is great news for the cost cutting manager, because what is the fun of delegating if you need to do a lot of work to manage, mentor, motivate, and monitor your delegated task. Monitoring costs is easy. Unfortunately, monitoring quality is not quite as easy. Congratulations on saving 15% on your widget. Are you now smart enough to define and monitor all of the ways your innovative low-cost supplier can find to extract at least 15% out of the cost out of your widget, and will any of these cost compromises adversely impact the quality of your final product? With the best of intentions, you assigned your subordinates the vital task of cutting costs to maximize profits and ensure the competitive viability of your business. What will you do when (not if) your customers start making warranty claims for poor quality product, your sales volume declines precipitously, and your company’s hard-earned reputation is being rapidly destroyed and disparaged on social media? If a manager accepts the easy path of cost cutting, the manager must also accept the hard truth that customers and markets aggressively and relentlessly punish failure. Don’t expect a second chance. Just be sure that your CV is up to date, and hope that your subordinates are also able to find new jobs after you have succeeded in destroying their company. An enlightened manager reacts strongly and aggressively against any suggestion of “cost cutting” in the organization. Low Cost is the path to the Dark Side, and it is a one way trip. Always reject “low cost” arguments. Emphasize to your team that our business success is built on Maximizing Value. Always reject any lower cost sourcing proposals unless and until it can be clearly demonstrated that the minimum quality and performance requirements will be reliably achieved. Of course this suggestion is obvious. Were you expecting truly spectacular and amazing advice? Truth is often both simple and obvious. Unfortunately, unless you consistently, diligently, and vociferously reject the Low Cost strategy in favor of the Maximizing Value strategy, your staff won’t understand that you are an enlightened manager. They will dutifully assume that you are like every other Industrial Manager and Leader who worships at the alter of Low Cost, and they will proactively seek to make you happy. Your quality and reputation will both evaporate and you won’t know what is happening until it may be too late to reverse. Yes, the competition is also competing for your customer’s business. Yes, they are putting cost pressure on your market. Yes, you can’t compete by being the high cost supplier, regardless of whether you have the high quality product. You are not Gucci or Ferrari, at least not yet. So explain to me, how does producing a crappy product help you win in your market? A Maximizing Value strategy is not the opposite of a low cost strategy. Mistakes are expensive. Defects are expensive. Warranty claims are expensive. Reputation damage is expensive. I am not suggesting you purchase a Rolls-Royce when a Toyota would be adequate. However, ensure that if your product requires “Toyota quality”, don’t settle for a Yugo, Reliant Robin, or a Trabant (yes, they are all famous crappy cars). Pay a fair price for the appropriate quality and performance, and your product will be competitive in your marketplace. Your sales team will be confident and inspired to represent your product, and your customers will recognize and appreciate your product value proposition. I last mentioned Operational Excellence when discussing a Safety First operating philosophy. Maximizing Value is just another facet in the quest to avoid mistakes to achieve Operational Excellence. Most companies have separate managers for Safety, Quality, Purchasing, Operations, etc. This doesn’t mean that each manager and each department gets to run their department and discharge their responsibilities without regard to what is happening in the rest of the organization. Be a principal driven manager. All operational philosophies and strategies eventually tie back into a common organizational culture. Operational Excellence is driven by a Safety First mentality of always executing every activity as close to perfection as possible, diligently avoiding mistakes. Maximizing Value is just another arrow in the Operational Excellence quiver, ensuring that sourcing mistakes are always avoided so product quality and reliability are ensured, and customer satisfaction and company brand reputation are maximized. When we install a new pump, we wouldn’t think of guessing about what size pump is required, what pressure is desired, what size suction and discharge pipes are required to deliver the fluid to its destination. We wouldn’t let the electrician use just any old electrical cable for the motor. We would carefully calculate the size of overload protection required, and make sure that the pipe was properly specified and supported. However, when we make financial decisions for our plants, too often we resort to guesswork. How much does Downtime cost? How much should we invest to reduce downtime? Should we outsource and pay overtime to get the job done in 24 hours, or save the overtime and finish the job in three 8 hour days? If we buy a new machine, will it pay for itself? Management is almost always focused on reducing costs. How can you convince your boss (and yourself) that spending more money is the best way to generate value for the company? In the following sections, I will present a few simple tools that I find very useful for making good plant management decisions. For all of these examples, data for your calculations is best obtained from your operating budget or from your actual accounting statistics. Fixed costs, also known as Period Costs, are expenses that are relatively constant over a period of time and do not significantly change with changes in throughput. Factory rental / lease costs, equipment depreciation, and insurance are examples of fixed costs. Variable Cost, also known as Direct Cost, is the value of expenses directly identified with your product, such as raw materials, packaging materials, production utilities, etc. For the purposes of valuing incremental changes in plant throughput (such as increased or reduced plant downtime), I do not include Direct Labor as a Variable Cost. Accountants generally do treat Direct Labor as a Variable Cost, and rightly so, because they are looking at overall company averages, and considering long term trends. An Accountant might observe that if Production increases by 20% next year, we will need to increase the number of employees accordingly. However, at the operational level, we must recognize that if we have 2 hours of downtime today, we cannot cut staff compensation by 2 hours, thus for operational planning purposes Direct Labor is effectively a fixed cost. Most accountants are very cooperative, and would be pleased to provide you with a breakdown of Variable and Fixed costs, adjusted to be meaningful at the operational level, once they understand your requirements. Alternatively, these costs can often be extracted from the plant operating budget workbooks. If you gain or lose a few units of production, how much do those units cost? Probably all organizations know very well the manufacturing cost of their products, but there is a big difference between the average manufacturing cost of product and the incremental (also know as marginal) cost of product. If you normally produce 1,000 units of product per month, the cost of these 1,000 units is the value of all fixed and variable costs during that month incurred to produce those units. A simple and logical concept. Now, perhaps you have a machine failure and lose 1 unit of production, or alternately, you avoid a failure and prevent the loss of 1 unit of production. How does this loss, or loss avoidance, impact your operating costs? Your factory rent doesn’t change, employee salaries stay the same, and depreciation costs are unchanged. Hence, for valuation purposes the lost unit has no fixed cost, only variable costs such as raw materials and packaging. For small changes in production, Marginal Cost = Variable Cost (with variable cost as defined previously). So, we had a machine failure and lost a few units of production. What is the value of that lost production? The value of the lost production is the value that the lost units would have contributed to the business had they not been lost. This is known as Contribution Margin. In general, Contribution Margin is the amount of money available to cover Fixed Costs and generate income. When we sell a unit of production, we generate Revenue, which is the money we receive from the customer. Often there are some selling expenses, so I prefer to use Netback Revenue which is the money we receive from the customer after selling expenses are deducted. This is the money available to pay for producing our product. Hopefully by this point we agree that the incremental (or marginal) cost of a unit of production is its variable cost, not including labor, because labor is fixed for incremental changes. Thus, we can calculate the Contribution Margin as the Netback Revenue minus the Variable Cost. Prepare to be surprised. For most companies, Contribution Margin is much larger than managers might otherwise expect. Imagine that each unit of production generates revenue of $1000, and has a fixed cost of $400 and a variable cost of $400. Many organizations would thus calculate that each unit costs $800 to produce, so if we produce 1 extra unit, or fail to produce 1 unit due to a problem, we gain or lose $200 of income. This is typically called Gross Margin. However, this calculation would only be true if we are talking about the value of all of the units produced during the period. In reality, the incremental value of a single unit of production is $600 (60% of sales price compared with 20%). Thus, if we spend less than $600 to achieve this incremental production increase, we generate value for the business. Continuing with our example, we normally produce 1,000 units per month, or approx. 6 units per hour. A machine fails, and you suffer 1 hour of downtime. What is the value of this downtime? If you have excess capacity and lots of inventory, this downtime incident probably didn’t cost you any money, other than the cost to fix the machine. You didn’t lose any sales. However, if your sales demand is equal or greater than your production capacity, or if you are reluctant to accept additional sales orders because your plant reliability isn’t good, then this downtime incident cost the company money. How much money? We know the Contribution Margin for each unit is $600, and at 6 units per hour we lost 6 units of production. Thus, we lost $3,600. Had we not suffered our downtime, we would have produced and sold 6 additional units of production. Fixed costs for the year wouldn’t change, employee salaries wouldn’t change, only the amount of raw materials and other variable costs would have increased. Thus, our 1 hour of downtime cost us $3,600 of income, not including the cost to repair the machine. On average, each unit of production generates $200 of income (i.e. Gross Margin), when fixed and variable costs are included. Had we used this value, instead of Contribution Margin, we would have mistakenly calculated the value of our downtime event at only $1,200. The truth is that downtime is much more costly than we usually realize, and the value of plant improvements is therefore much higher. Managers often fail to make improvements because they underestimate the value of such improvements. Our plant is operating at maximum capacity. We are planning an outage to clean and inspect a machine. We have the option of doing the work using our in-house staff, or outsourcing to a skilled and experienced contractor. We are confident that both options will provide good quality work. If we use our own staff, the work will require 8 hours of plant downtime, but we won’t have any significant costs, because all of our staff is already available in house. If we outsource, we will need to pay $7,000, but since they have specialized equipment and abundant manpower, they can complete the work in only 4 hours. From our previous examples, we know that actual downtime costs us $600 / unit. At 6 units per hour, our downtime causes lost contribution margin of $3,600 / hour. For the inexpensive in-house option, we incur virtually no expense, but lose contribution margin of $3,600 / hour, for a total downtime cost of $28,800. For the outsource option, we lose 4 hours of contribution margin, or $14,400, plus incur contractor expense of $7,000, for a total of $21,400. By using the “expensive” outsource option, we will be able to reduce the cost of the downtime event from $28,800 to $21,400, a savings of $7,400. Thus, the cheaper option actually costs the company $7,400 in incremental income. Note also what happens if we mistakenly value our downtime using Gross Margin, which we have calculated as $200 / unit, or $1,200 / hour. In this case, we think our in-house option costs us $9,600 in lost margin. The outsource option costs us 4 hours of lost production, or $4,800 in lost margin, plus $7,000 in expense, for a total of $11,800. In this case, we will choose to do the work in house, because we think we will save $2,200. Reality Check: At the end of the year, if we had selected the oursource option, we would have had only 4 hours of downtime, instead of 8. Thus, we would have produced (and sold) 24 additional units of product. In both cases, total payments for employee salaries, plant depreciation, other fixed costs such as plant maintenance and spare parts, would have been identical. The only cost differences for these two options is $7,000 expense for the outsource contractor, and the cost of the raw materials (our definition of variable cost) to produce the 24 additional units. The outsource option therefore generates $24,000 in incremental revenue ($1,000 / unit), at a cost of $9,600 ($400 / unit), plus $7,000 of expense. Again, we recognize that this has produced additional income (i.e. margin) of $7,400. Not all companies operate at full capacity. Some companies have too much capacity. In such cases, it is important to understand how many units must be sold to allow the plant to breakeven. From our Contribution Margin calculation, we know how much each unit of product contributes towards fixed costs and income. If our monthly fixed costs are $400,000, and our Contribution Margin is $600 / unit, we can divide fixed cost by contribution margin to determine that we must sell 667 units to cover our fixed cost. This is our Breakeven Point. We start earning income when we sell unit 668. Important Note: When doing Breakeven Point calculations, you need to again consider the proper treatment of Direct Labor. The Breakeven Calculation assumes a longer time horizon than our Downtime calculations. You are looking to the future to determine the minimum output required to cover all costs. Whereas over a short time horizon all labor is essentially fixed cost, over a longer time horizon some labor may be truly variable cost. If your production is labor intensive, and your labor force is flexible (you can add and subtract labor as production demand changes), then you should value Direct Labor as a Variable Cost for Breakeven calculations. Be careful – even in this case, not all labor is variable. Whether you produce 1 product or 1000, you will still need a Plant Manager, Accountant, Supervisor(s), etc. These people are fixed costs. However, at least some of your factory labor may be truly variable, and their cost would increase / decrease as your plant output changes. To be most accurate (since even Direct Labor rarely varies in a linear relationship with output), you might consider holding all labor as fixed cost to calculate an initial breakeven point, then manually adjust your labor costs to match that output level and repeat the calculation. This iterative method will allow you to properly match labor to output, giving a most accurate estimate of the true Breakeven Point. We can also estimate Gross Income or Loss by using Breakeven. If we sell 700 units, our Gross Income will be the number of units sold above Breakeven multiplied by Contribution Margin. (700 – 668) x $600 = $19,200. If we only sell 650 units, (650 – 668) x $600 = —$10,800. What to do if our sales are uncomfortably close to Breakeven? One option is to do some “what-if” calculations to see if operating performance can be improved. Can we reduce our fixed costs? Sell the MD’s BMW to reduce depreciation expense? Reduce staff to lower labor costs? Reduce sales price (reduced contribution margin) to capture significantly greater sales volume? We can calculate the Breakeven point for different cost scenarios, and estimate the effect on income. When considering different cost scenarios, be careful to include all cost changes. For example, by using these simple tools to value downtime, calculate breakeven point, and evaluate different operating scenarios, you are sure to earn a much larger salary and bonus. Don’t forget to include your higher fixed salary costs in your future cost scenarios. 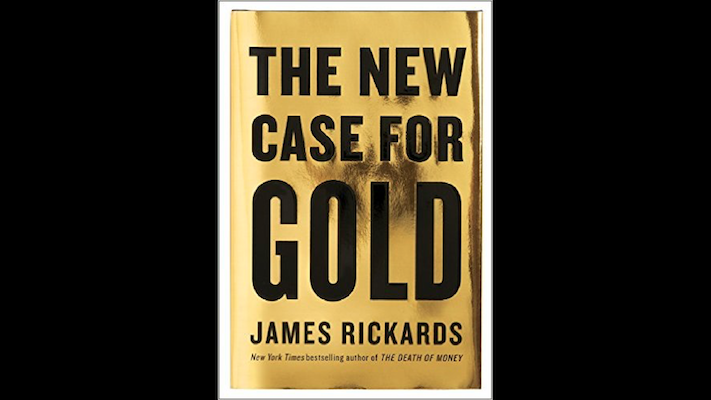 “The New Case for Gold” by James Rickards, was just published in April 2016 and is a Wall Street Journal Business Best Seller. James Rickards is one of today’s thought leaders on Global Currencies and the Global Financial System, and he is a strong advocate for a return to the Gold Standard. 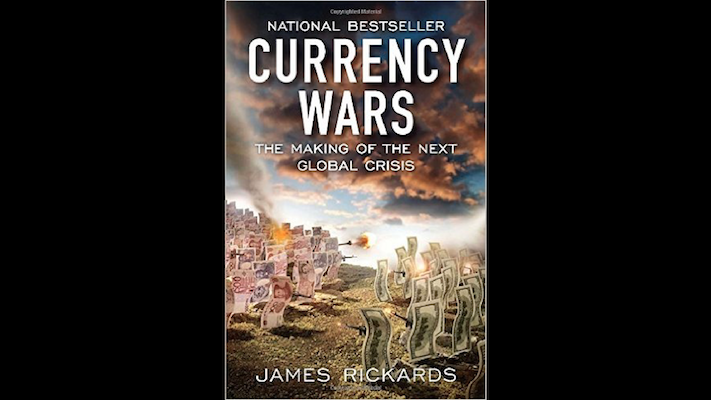 “The New Case for Gold” builds on foundation established by Rickards previous books “Currency Wars” (published 2011, see my blog post dated March 2015) and “The Death of Money” (published 2014, see my blog post dated June 2016). Rickards has done a masterful job of packing a great deal of historical and technical information into a relatively short book of only 192 pages. Rickards writing is clear, concise, well researched, and well reasoned. He makes a very strong case for returning to a Gold Standard, which has been the prevailing global currency standard for most of the past 5,000 years. “The New Case for Gold” debunks many commonly held misconceptions about Gold, especially why Gold is no longer suitable for use as a Global Currency. One of the most common criticisms of gold is that “there’s not enough gold”. Rickards explains that what this really means is that there isn’t enough gold at its current valuation. Rickards analyses the valuation of Gold based on several potential valuation scenarios, and theorizes a current valuation, consistent with historical models, of $10,000 per ounce. This valuation model gives strong insight into how badly debased the US dollar has become since it became a fiat currency. Rickards also explains that China is buying gold to hedge its position in US Treasuries. If Inflation gets out of control and China doesn’t have its portfolio of US Treasuries hedged, “China will be left in the dust.” However, if China can reach its target of eight thousand tons of gold, China will have its US Treasuries holdings adequately hedged. I enthusiastically recommend “The New Case for Gold” to anyone keenly interested in the Global Financial System, is skeptical about the safety and security of Fiat Currencies, or has an interest in prudently diversified investments. It goes without saying that we want our workplace and employees to be safe. Nobody wishes to see anyone injured. Even the most cold hearted Neanderthal manager would prefer to avoid workplace injuries and incidents, if for no other reason than to avoid the resulting paperwork and medical expenses. So why are there so many workplaces with poor or mediocre safe work practices? What can an enlightened manager do to achieve a genuinely safe workplace? How can we encourage enthusiastic compliance with safe work best practices? I have had the privilege of visiting hundreds of industrial facilities. I can’t remember ever visiting any factory that didn’t have a “Safety First” sign, flag, banner, or similar announcement above or near the front door. Most facilities also post safety signs and banners throughout the facility for good measure. Certainly, all of our employees and contractors have noticed our safety signs and banners. We can therefore confidently check the audit box confirming that we have communicated our Corporate Value concerning safety compliance. What more is there to do? Companies waste a lot of money attempting to achieve minimum levels of compliance with a huge range of Corporate Values, Initiatives, and Customer Expectations. If you expect a green “Safety First” sign to enlighten and motivate your workforce to voluntarily follow safe work best practices, you are hopelessly optimistic and have wasted the money you spent on the sign. You say you value your credibility, and you aspire to have your workforce look up to you as a skillful and credible leader. Time for a reality check. You are the boss, the General Manager, Managing Director, Plant Manager, or similar leader of an industrial facility, and you have the big green sign posted on the front of your facility. Safety First. Explain to me … why do you believe deep down in your heart that Safety should be First? You posted the sign, so you certainly must have a very compelling reason why Safety is more important than anything else we do at our company. Why is Safety more important than Quality? More important than Customer Satisfaction? More important than Profit? More important than your next performance bonus, which is most likely calculated based on financial performance, not on Safety performance? Are you in business to produce safety, or are you in business to produce a product and generate financial returns to your shareholders? Your credibility is on the line now. What do you believe? And can you explain and defend your beliefs to your skeptical employees? Don’t despair. Enlightenment is close at hand. The question is whether you are willing to become a convert, a safety disciple, a true believer in the gospel of Safety First? The truth is that yes, we are in business to serve our customers and our shareholders. If we fail to successfully provide our customers with products that meet their quality, performance, and reliability expectations, our company will not survive. If we fail to deliver a return on investment to our shareholders, we will not survive. Does this therefore mean that we must take down our “Safety First” sign? Can we be honest about the realities of our business expectations and still claim that Safety is our first and highest priority? The answer lies in the operating philosophy we choose to pursue to achieve our fundamental business objectives. If we pray at the Alter of Cost, and believe that our highest priority is minimizing costs, then we must take down our “Safety First” sign and replace it with a “Cut Costs First” sign. In this environment, Safety is an expense, and a very easy target for cost reduction. Frankly, quality, reliability, efficiency, and excellence, are all expensive, and all are easily compromised by a Low Cost philosophy. The same analysis can be made for other operating philosophies. Each leads to unintended consequences that compromise safety, and frequently also compromise overall organizational performance. What would happen to our facility, our organization, our operational performance, our financial performance, our customer satisfaction, our shareholder returns, if we truly adopt a “Safety First” philosophy? How are we to even contemplate achieving “Safety First?” What does it mean to operate our facility in accordance with a Safety First philosophy? How can we possibly survive such a radical concept? Have you ever considered what is an accident? Fundamentally, an accident is a mistake, an unintended consequence. Each industrial facility is faced with many types of mistakes, all unintended consequences, and virtually all quite undesirable. Quality incidents, inventory discrepancies, equipment failures, unreliable processes, data entry errors, account discrepancies, ordering errors, invoice errors, late deliveries, lost tools or assets, these and hundreds of other undesirable incidents arise from mistakes. If we could eliminate all mistakes, how would that transform our company? Since safety incidents are ultimately the result of mistakes, eliminating mistakes would eliminate safety incidents. Eliminating mistakes would also improve quality, improve efficiency, reduce cost, enhance margins, raise customer satisfaction, drive increased sales, and delight shareholders with maximum returns on investment. When Management finally realizes that the Safety First philosophy is fundamentally a quest for Operational Excellence, the paradox is finally eliminated. An organization can truly and wholeheartedly pursue a “Safety First” philosophy as the path to achieving Operational Excellence. All beneficial corporate performance flows directly from the “Safety First” philosophy. Safety First requires achieving Operational Excellence through the elimination of mistakes. How do we eliminate mistakes? Training and Procedures: Each employee must be carefully and comprehensively trained to do his or her job correctly, competently, efficiency, and most importantly always safely. Training is a continuous exercise; learning and mentoring never ceases. Procedures must also be continuously created or updated to capture new best practices. Tools: Each employee must aways be provided with the hard and soft tools required to successfully execute the task at hand. If the quality of the tools are compromised, the quality of the work will be compromised and mistakes will take their toll on safety, quality, reliability, and all other important performance metrics. Tools must be calibrated and maintained as appropriate, and must be available at the proper time and place to support the task. Time: Each employee must always have time to stop and think before acting. There are no shortcuts; rushing creates mistakes, and mistakes destroy any possible time and cost savings that might have been sought through rushing. There is no substitute for good preparation for avoiding mistakes and achieving consistently excellent results. Safety First cannot be implemented overnight. However, the philosophy can and must be clearly communicated and rigorously supported. Signs and posters are nice, but they are no substitute for direct heartfelt support from all managers and supervisors throughout the chain of command. Many managers believe strongly that enforcing safety rules makes tasks take much longer. A four hour task becomes an eight hour task when safe work rules are rigorously enforced. However, my personal observation is that this is purely an example of reactive (as compared with proactive) safety enforcement rather than a genuine Safety First culture of Operational Excellence. My experience is that a workforce that is well trained, has all of the right tools and procedures, and has time to carefully plan their work, routinely completes tasks much more efficiently and reliably than their peers in unenlightened facilities. The “Safety First” team carefully plans their work in advance, and documents their planning to guide future activities. They arrive at the site with every tool, part, and resource they need to complete the work. The work proceeds without most of the usual problems, because the task is being executed in the most professional manner possible. Unexpected problems almost never arise, because most unexpected problems are easily anticipated and addressed with prudent work contingency plans. The four hour task is completed in three hours, and the work quality far exceeds that of the unenlightened team. Operational Excellence can be achieved. Safety First is genuinely the most enlightened operational philosophy of the modern industrial facility. Employees and Contractors can be trained to focus on eliminating all mistakes, including most especially safety mistakes, through strict adherence to training and procedures, always using the proper tools (and using the tools properly), and always taking time to carefully prepare for each task prior to execution. This same philosophy delivers outstanding benefits in the office as well as on the factory floor. However, Safety First won’t happen unless it is cultivated, supported, championed, and driven from the top all the way down to the bottom. Each Manager must believe in the philosophy, and must share their faith with their peers and subordinates. Insist that the team focus on Safety First to achieve Operational Excellence. This is the true path to Industrial Heaven, and all other performance blessings will be generously bestowed upon the true believers.